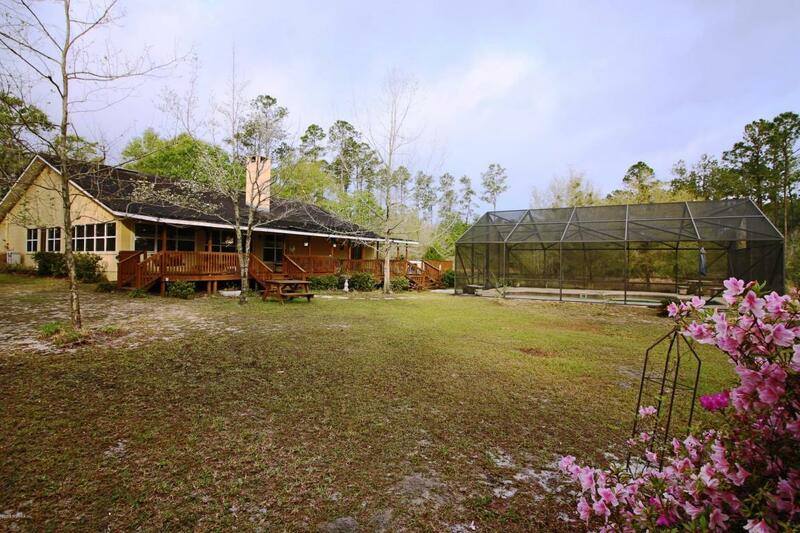 Beautiful concrete block home on Ashley Lake with additional buildable lot next door. This three bedroom, 2.5 bath home was totally rebuilt in 2004 after hurricane. Large open floor plan with a dream kitchen, a wood burning fireplace in living room, tiled living areas and very large screened pool and hot tub. Owner's suite is huge with a deluxe bathroom and abundant closet space. So much storage space throughout. Great home for entertaining, and large family. Enjoy the lake and big sunny back yard or walk the woods and look for wildlife.